Is your social media marketing smartphone friendly? An accelerated form of modernity is here, and this means that time is ticking, and it’s worth too much to waste, so managing your social media via your mobile phone is crucial in the pursuit of success. Life moves at lightning speed, but social media moves even faster, so being able to manage your social media marketing on the go will move your company to the next level. There are many tools via mobile stores that can help you achieve your goals, and once you master these apps, social media will be as easy as making a simple phone call. Here are just a few of the key apps you should be looking at. 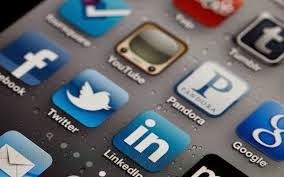 Twitter is an obvious one for business, as you can tweet text, photos and videos easily from your phone. This makes it a crucial app for anyone who wishes to advertise or connect with customers via social media. It is great for those who manage more than one account also, and multiple accounts can be stored and accessed at once. The search bar in the app also looks for trending topics so that you can make your content relevant to what the world is talking about. Keeping on top of your brand pages on Facebook can be difficult and time consuming, but the Pages Manager app simplifies and expidites this process. This app makes it easy to stay in touch with activities happening over multiple pages at once. In addition to viewing all of your content, you can post updates, photos, and links, plus respond to comments made by others. As well as all this, you can view and reply to private messages, making it a must for all businesses who use Facebook. Instagram is becoming one of the most popular social media apps, and for good reason. Not only can you post photos with ease, using a host of custom filters, but you can also share instantly across your other social media platforms. This makes it a marketers dream, as it saves the time of posting the same photo over and over again on each of the platforms. Buffer is a great all-rounder, and fantastic for sharing all of your social media content; share to Twitter, Facebook, Google+ and LinkedIn all from one place. The most popular feature on buffer is the content schedule, where you can have multiple articles or photos ready to share, and Buffer will schedule the content over the next few hours or days. Bitly is the go-to app for link shortening. You simply copy and paste your link into the designated filed, and you will be provided with a clean, shorter version of the one you put in. Additionally, you can customise how your new link will look. Bitly crucially provides analytics showing click counts, link activity, and geographic locations. From here you can organise and share your shortened links using its bundles feature. Zite is a smart magazine that helps you find the things that you or more importantly your audience would like to read. It is a great way of leisurely connecting with your audience, and the more you read, the more Zite learns what you like and provides updated reading material. From here it is simple to connect and share articles to your other social media platforms. These are just a few crucial apps that will help you manage your social media business on the go. Many companies now realise that mobile connectivity is the future of social networking due to how busy people are in both their work and private lives. 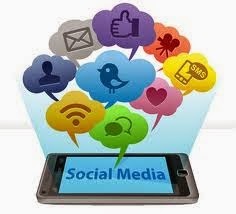 With the right management, you could be thriving in the sphere of social media marketing. Is Emma Thompson Wrong About Social Media?